The Personalised Contigo Autospout Sip & Snack Tumbler is a 2 in 1 container/water bottle that has been created to simplify the busy lives of parents and children. 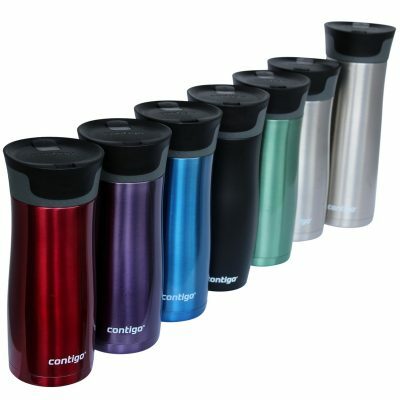 This new design of contigo water bottle offers the popular 13oz spill proof water bottle with the addition of a 4 oz snack container. The spill proof valve system of the contigo water bottles means no more spills or leaks – even when your child holds the water bottle upside down. The spout stays free of dirt and germs when the spout shield is used. The straw detaches from the lid for easy cleaning. 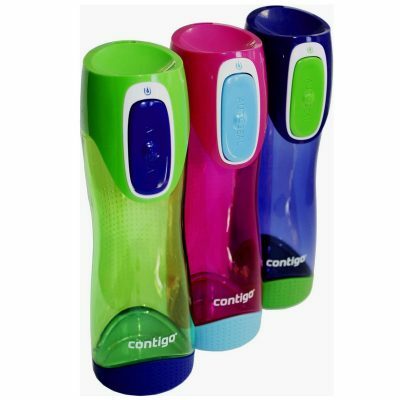 The contigo autospout sip and snack is the perfect solution for on the go parents for morning tea or afternoon tea snacks. Note: Option for an extra $5 to have Contigo Autospout Sip and Snack personalised on the side of lid.